On this week's Floating Voter Kevin Doyle is joined by Philip Ryan and Shona Murray, with Fianna Fail TD Barry Cowen in studio to discuss the National Broadband Scheme. Also up for discussion is the stepping down of Gerry Adams as President of Sinn Fein, is he doing a Farage and leaving a sinking ship? 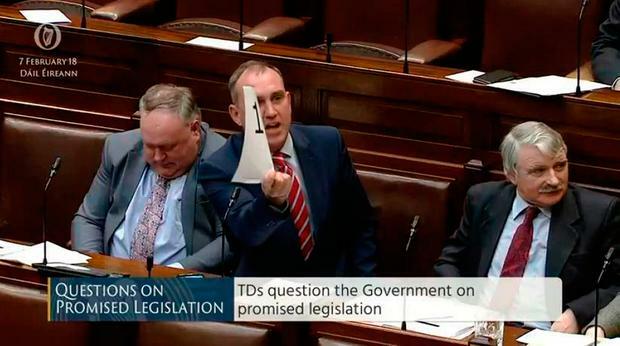 The panel also discuss an astonishing shouting match between the Healy-Rae's and Mark McSharry in the Dáil chamber this week which made headlines around the world. Independent.ie Newsdesk Tanaiste Simon Coveney has met with political representatives in Belfast following the death of journalist Lyra McKee.